I love Andrea Arnold, the British director whose Red Road and Fish Tank remain two of my favorite films made during the past five years. Especially Fish Tank, which I found a stunning piece of work, and which still swirls around in my mind for its portrayal of a 15-year-old girl. 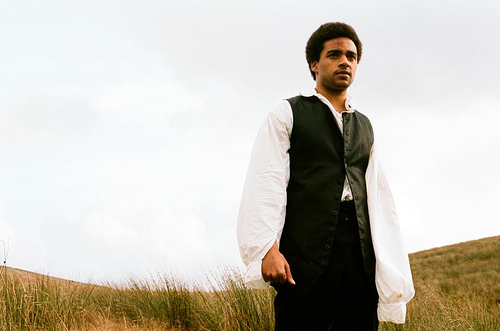 So now that I’m hearing about her new film, Wuthering Heights, you can imagine how intrigued I am by the possibilities of Heathcliff as a young Black man. To be honest, I never liked the book, which I found overwrought in an alienating way. I tried to give it another try a couple of years ago, but found myself up against the same wall: I just didn’t care what happened to Heathcliff and Cathy. That said, I find the filmic versions compelling — I believe this is a book that begs for visuals, moody interior moments, vignettes. Which is what Arnold appears to give it. It remains to be seen whether I’ll like the actual film as much as I like the idea of the film — reviewers appear mixed — but oh, these photo-stills and clips are persuasive. 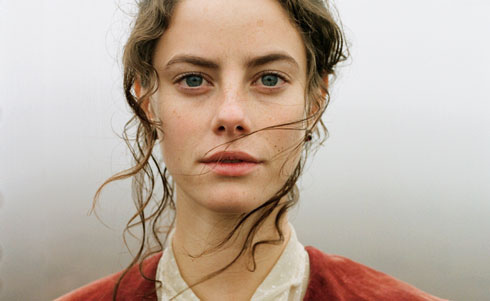 The whole idea — that a powerful, almost lifelong love and supernatural bond between two 19th-century people might be so problematic because they’re not the same race — is so rich for exploration. Andrea, I’ll be there on opening day.